You must be a member of the Taipei Arts & Culture Group to attend this activity. Would you like to join this group? This free English guided tour is exclusively arranged for InterNations! 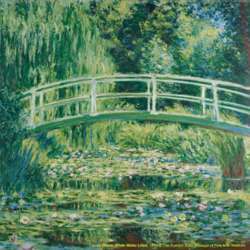 Come join us to enjoy impressionism masterpieces from Monet, Renoir, Cezanne, Gauguin, Picasso... etc. It's an excellent opportunity for you to check them out! Please refer to the link below for more detailed introduction. We'll have lunch together Protected content and join the guided tour afterwards. Please remember to bring any ID with you for joining the tour. As we need to know a precise number of visitors, I’ll double confirm with you 7 days before the event. Please pay attention to your message inbox and send me your feedback promptly. Let's meet at Protected content and share taxi there. The taxi fare one way is about $ Protected content car.